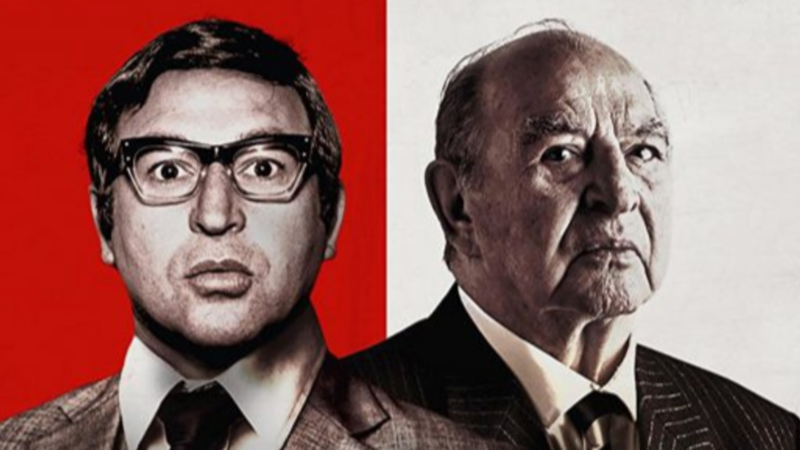 Blackface keeps cropping up into the news cycle, whether it be for a fancy dress costume being &apos;misinterpreted&apos;, old photos of a politician resurfacing, or celebrities and major fashion labels releasing &apos;questionable&apos; products. Katy Perry was recently forced to pull a selection of shoes that some called blackface while customers have been boycotting Gucci after the brand released a black jumper that stretched up to cover the person&apos;s mouth. Blackface is an incredibly sensitive topic and one that stems from serious and hurtful historical racism. It was used in Europe and the US throughout recent centuries in theatre and entertainment to caricature and stereotype black people. 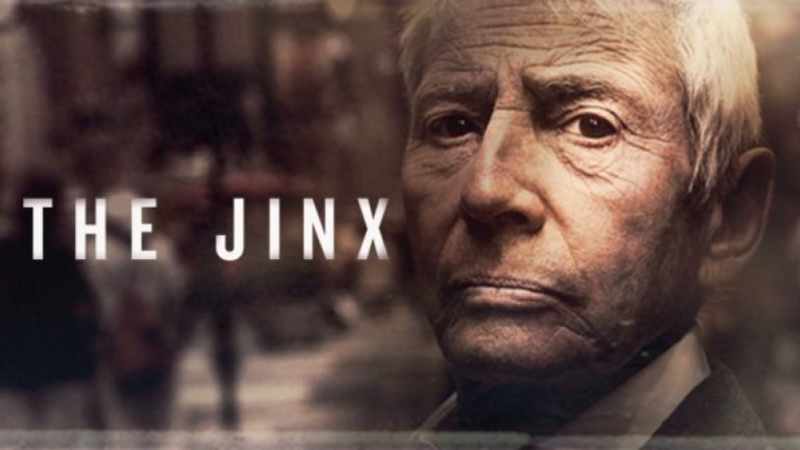 It&apos;s since been condemned because that caricature and stereotype was often portrayed in these shows in a negative light and was inherently racist. Some are so against it s that they feel charcoal facemasks, the ones that are supposed to clean your pores, are blackface in disguise. 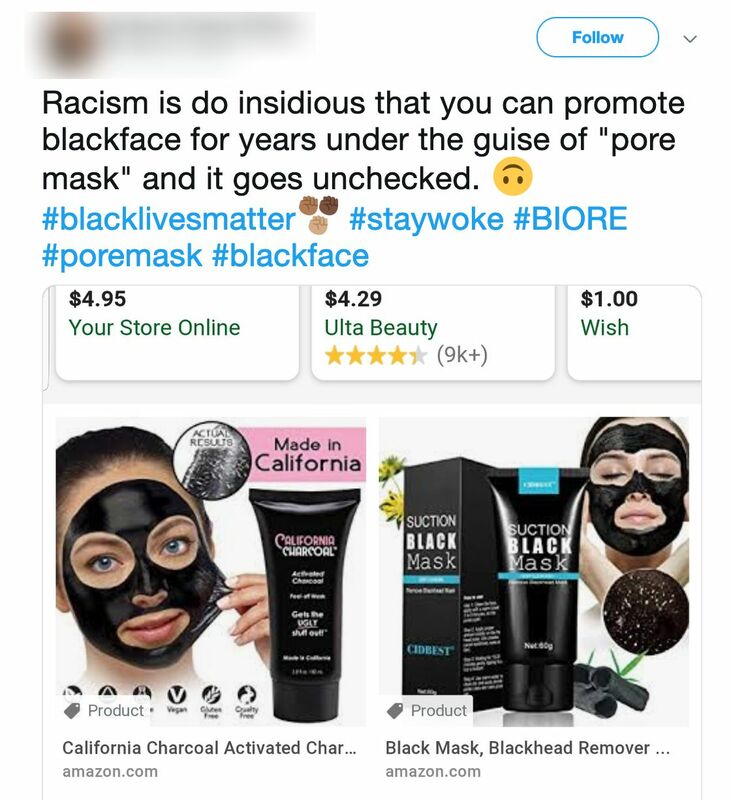 One person on social media wrote: "Racism is so insidious that you can promote blackface for years under the guise of &apos;pore mask&apos; and it goes unchecked." 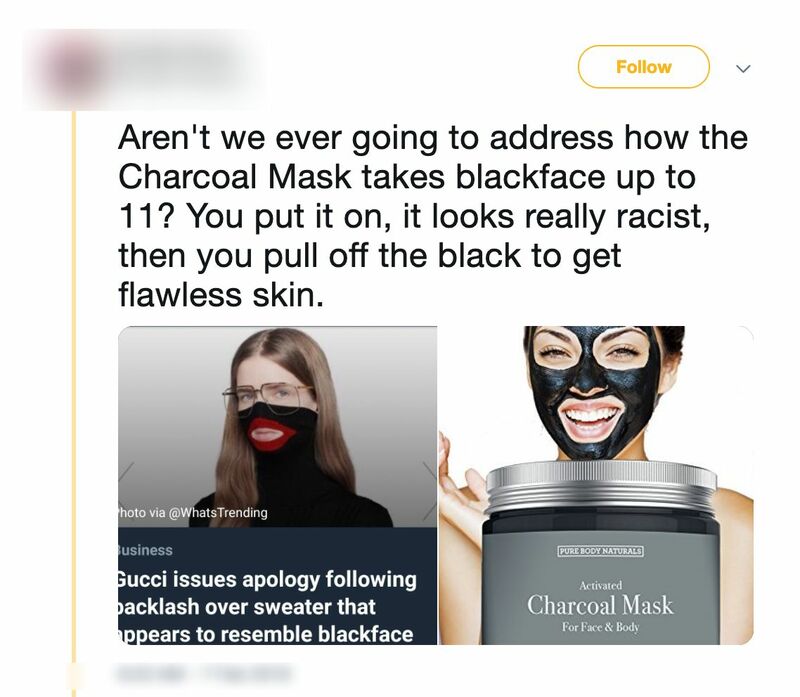 Another added: "Aren&apos;t we ever going to address how the charcoal mask takes blackface up to 11? You put it on, it looks really racist, then you pull off the black to get flawless skin." But this latest link between charcoal face masks and blackface isn&apos;t being bought by some people, who think it&apos;s a stretch and a half. 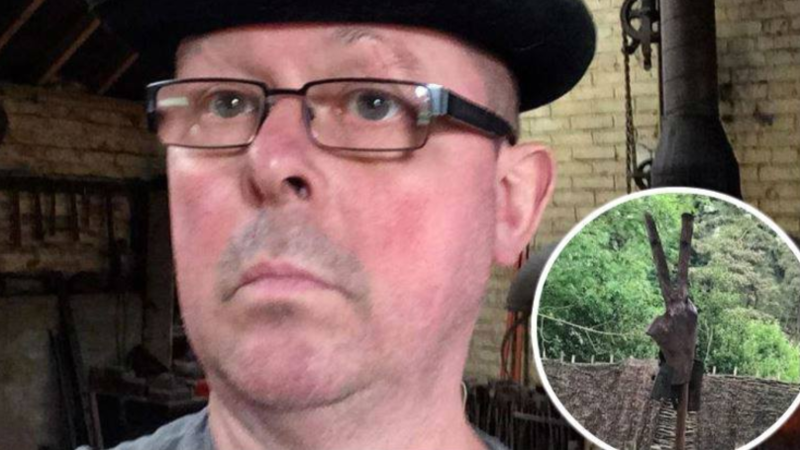 A user on Twitter said: "I use this charcoal face mask for men and this is getting bloody ridiculous! How is this racist? Sorry to all you snowflakes out there but we would like clean skin and we won&apos;t stop using it!" People have even started issuing statements on their social media profiles double-checking with their friends and followers that they&apos;re wearing face masks and not trying to emulate blackface. "Almost posted a selfie with my face mask on but it&apos;s a charcoal face mask so it&apos;s black and I don&apos;t want my first racist scandal to be a misunderstanding," wrote one person. 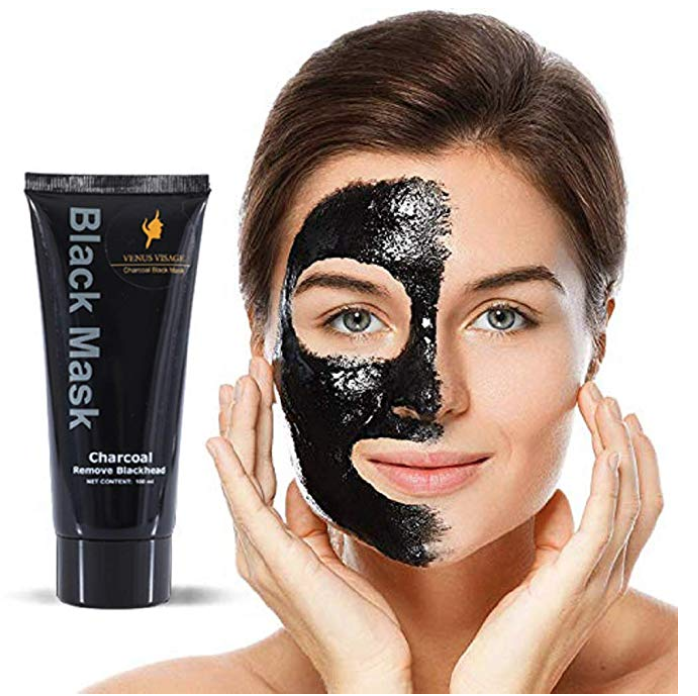 To state the obvious, the reason why the facemasks are black is because they have activated charcoal as an ingredient - which is all the rage these days. Apparently it helps draw &apos;bacteria, toxins, chemicals, dirt, oil, and other micro-particles to the surface of the skin&apos;, according to SioBeauty. The ingredient is being used in everything from toothpaste to bloody muffins. While it might be good in some scenarios, the science behind using it in others is questionable.